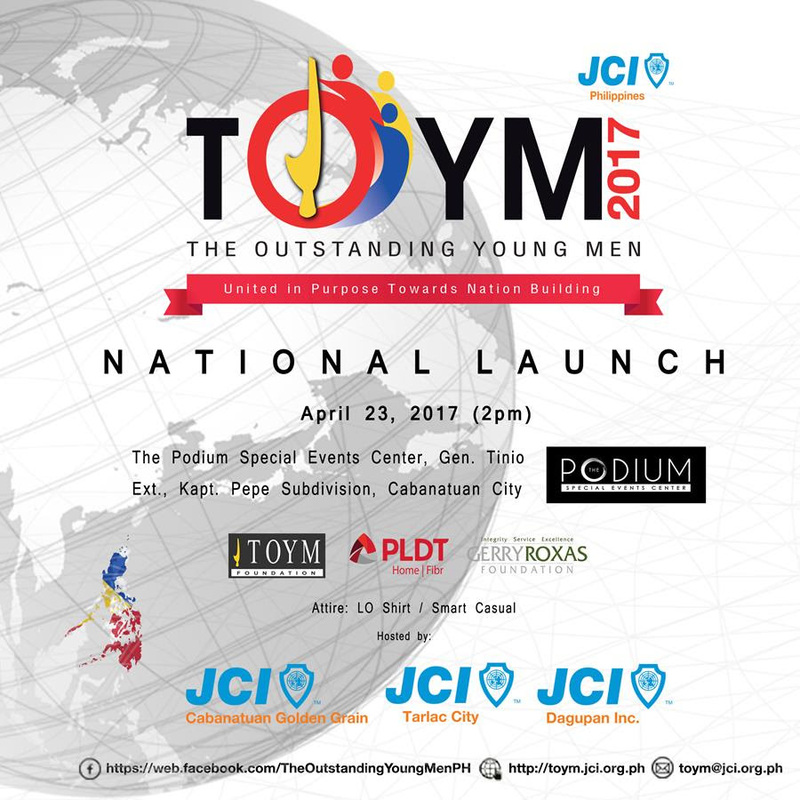 In line with its 58 years of success, we will formally launch our search for this year’s The Outstanding Young Men on April 23, 2017 at Cabanatuan City together with JCI Philippines National Board and our partners: The TOYM Foundation, PLDT and Gerry Roxas Foundation. Attached hereto is the National Launch invite. Following the TOYM National Launch will be Area and Regional Pocket Launches in the coming weeks. For further information, please contact our Area 1 Chairman Carl Francis M. Dizon at (+63) 917-633-9355 and Christine Bernardo at (+63) -926-655-9524 of JCI Cabanatuan Golden Grain.